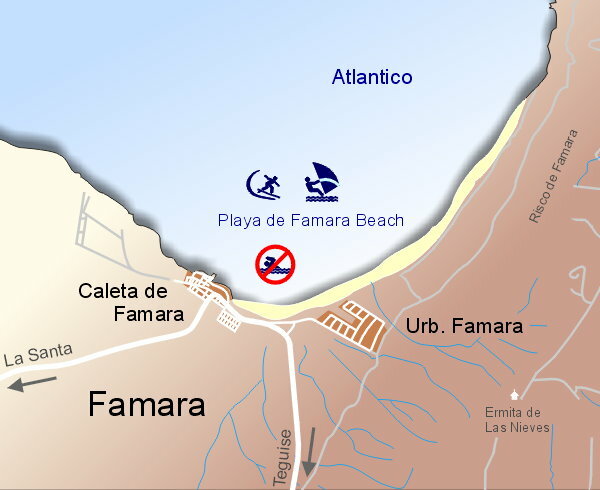 Situated directly by the water, in the middle of the small village of Caleta de Famara you will find the Famara Beach Apartment. Its located in the upper floor of a building which contains a restaurant on the ground floor. This house was for many years the residence of the brother of César Manrique, the lanzarotenian artist and architect, and it is still in the possession of his family. The living room opens via two large windows to the Ocean, presenting a stunning view of the sea and the sandy Beach of Famara. On the south side of the apartment there is a large loggia, over which the apartment also is accessed via an external staircase. The house is located directly on the Atlantic, to the sandy beach you have to walk about 200 meters. Bed linen and towels will be provided. Weekly bed linen and towel exchange if desired. 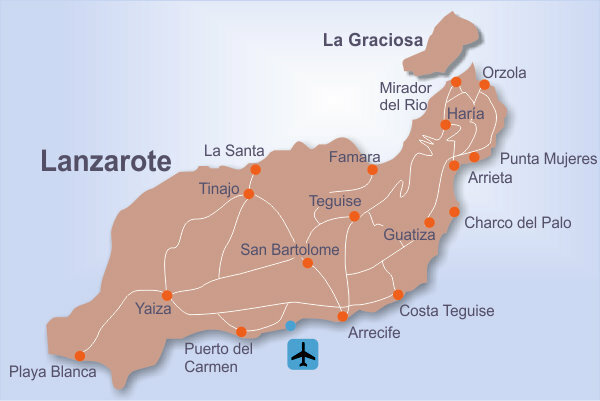 We can organize either the transfer from/to the airport or as well the car rental. 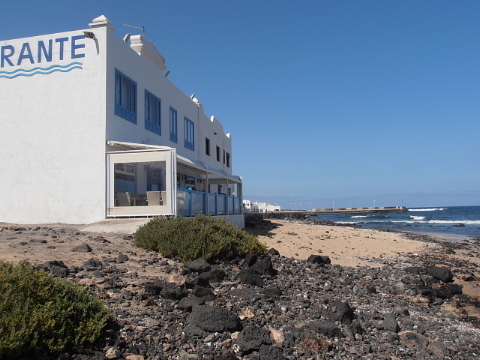 Price per night and 2 persons 85 eur. Additional persons cost 10 eur per day and person.